Most of my artwork is based on the flowers I grow in my yard, and I am proud to grow many things that are native to Colorado. I grow these flowers in my garden, photograph them (or sometimes hire a friend to help with photos!) and use them as inspiration for my artwork. 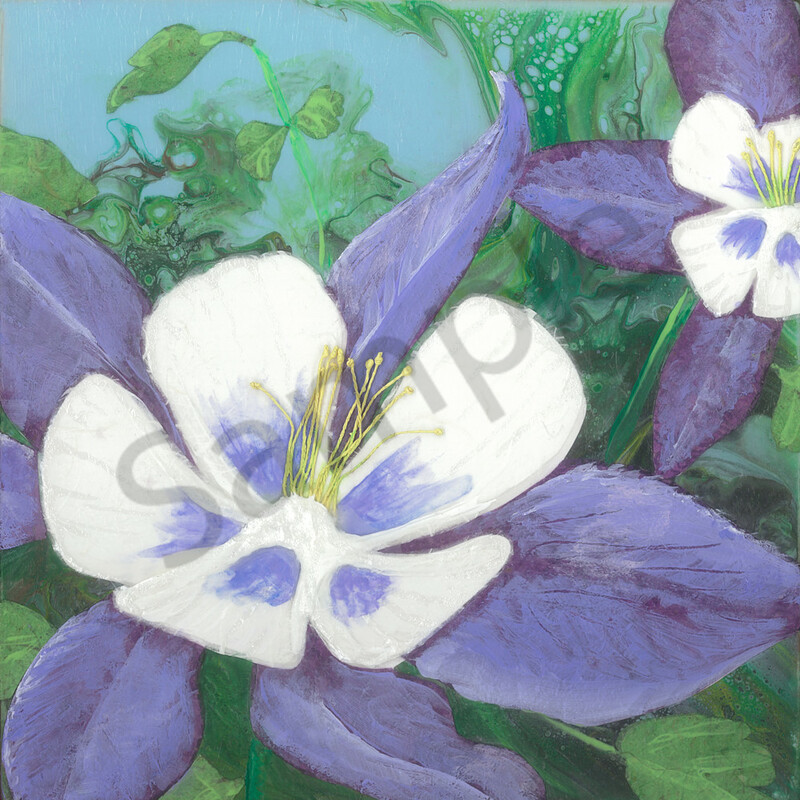 This piece, “Columbine #4" was created in my signature style of collage-painting.